100pts - Vinous - "I have been fortunate to taste and drink the 2004 Monfortino many times, going back to the days when the wine was in barrel. Even from the beginning, the 2004 offers striking aromatics, silky fruit and exceptional overall balance, all qualities that remain very much in evidence to this day. At a complete vertical of Monfortino from magnum going back to 1970 last year, the 2004 was one of the very finest wines, which only shows where it stands in the pantheon of Monfortinos. To be sure, vintages such as 1999 and 2002 deliver more power, but when it comes to pure finesse, the 2004 plays in a league of its own. Only the 2008 is similar in style. 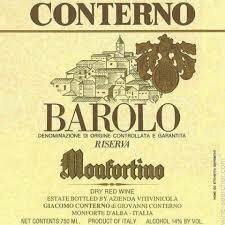 I imagine the 2004 Monfortino will give readers an utterly spellbinding drinking experience for the next few decades."